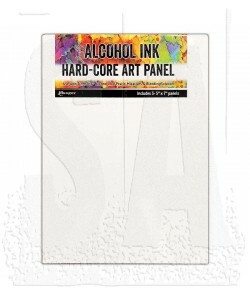 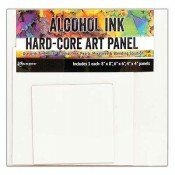 Alcohol ink Hard-Core Art Panels are a versatile fine art and mixed media substrate ideal for Tim Holtz Alcohol Inks, Pearls, Mixatives, and Blending Solution. 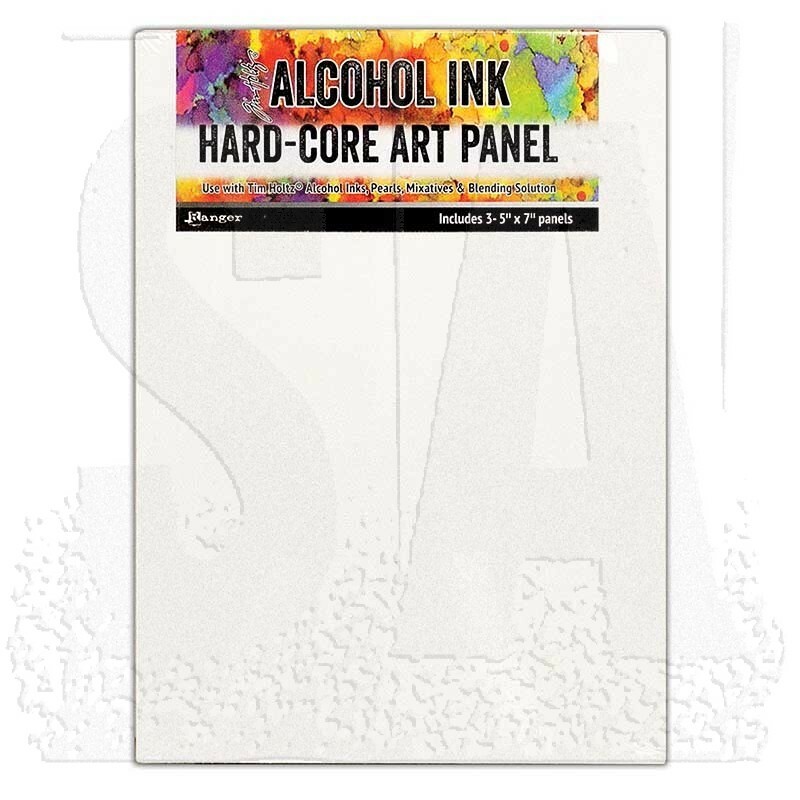 Hard-Core Art Panels are double-sided vinyl with Engineered Wood Rigid Core MDF board offering an ideal surface that remains rigid and flat. 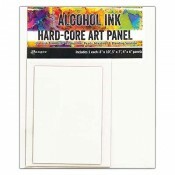 The vinyl is mounted with a pH non-yellowing permanent adhesive which creates a ready to use bright white, lightly textured surface. 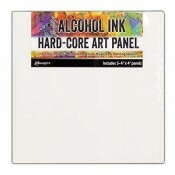 Package contains three 5" x 7" panels.